Hi Folks, few days back we had a contest on msigeek.com to giveaway the Microsoft Visual Studio 2010 Ultimate licenses with MSDN subscriptions. Thanks for showing interest and all the entries/nominations submitted. It was a little difficult to choose the winners. Special Thanks to Janakiram M and Sanjay Vyas for spending time in reviewing these entries and sharing their thoughts. Anthony works for NuGrowth Technologies, a custom software development shop in Columbus, OH, leading projects for clients in the healthcare and insurance software industries. A geek at heart, outside of work I enjoy tinkering with electronics and software. His software focus is on building tools and frameworks to automate tasks, make developers lives’ easier, and make software products more stable for end users. Lohith is known with twitter handle @kashyapa – (kashyapa being his gothra). He works on Microsoft Technology especially .NET framework from year 2001 onwards. He has spent most of his experience, working with service based company. His last stint was with Aztecsoft (taken over by MindTree). He was with them for 6 long years which included last 2 years in LA at one of their clients place. Currently he is with SunGard Technology Services. He has worked predominantly on web applications; last 3 years being on Rich Client application which includes playing around with WPF and WCF. Phrontiste has been working with computers for around 10 years now after University, Main interest is focussing on utilizing WMI, .Net, Powershell, technologies like these, to in corporate and develop utilities for Hyper-V, VMWare, Deployment etc. Also, sometimes participate on a forum “Experts-Exchange.com” with the same alias “Phrontiste”, its a greek / latin word which means “A Thinker”. Congratulations to all the winners and hope you make the best of these softwares. 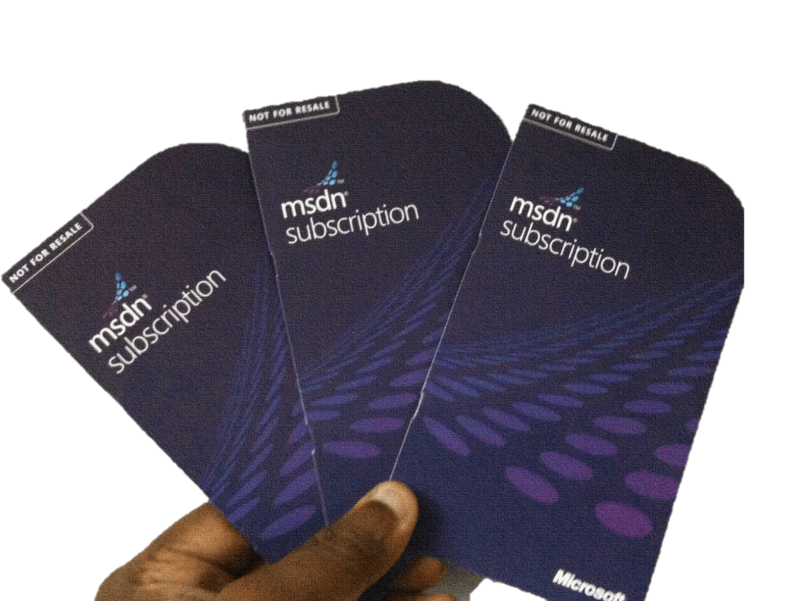 I shall send you the license keys and the procedure to activate your MSDN Subscriptions via email. I again re-iterate, This subscription is not-for-sale, and therefore carries some benefit restrictions. Technical support benefits and MSDN Magazine are not included. and all software benefits, including Microsoft Office 2010 products are for development and test purposes only! Thanks to Microsoft, for providing this giveaway! Posted in General, Microsoft and tagged giveaway, msdn, winners. Bookmark the permalink. First of all i would like to thank you for this wonderfull giveaway. If i right – i think you were the first one to start the VS.NET2010 give away. When i landed on the contest page and i read the questions it was like – hey these are the questions i face everyday. So all i did was to pen down my experience and the offerings of VS.NET 2010 – how it helps. Didnt even realise for a moment that i stood a chance to win this. But when you gave me the news it was absolutely a fantastic feeling – winning a $11K worth of a product is like a dream. I am regular reader of you blog and i must tell you that you have a niche area of blogging out there. The setup and deployment space is a very rarely held thoughts.